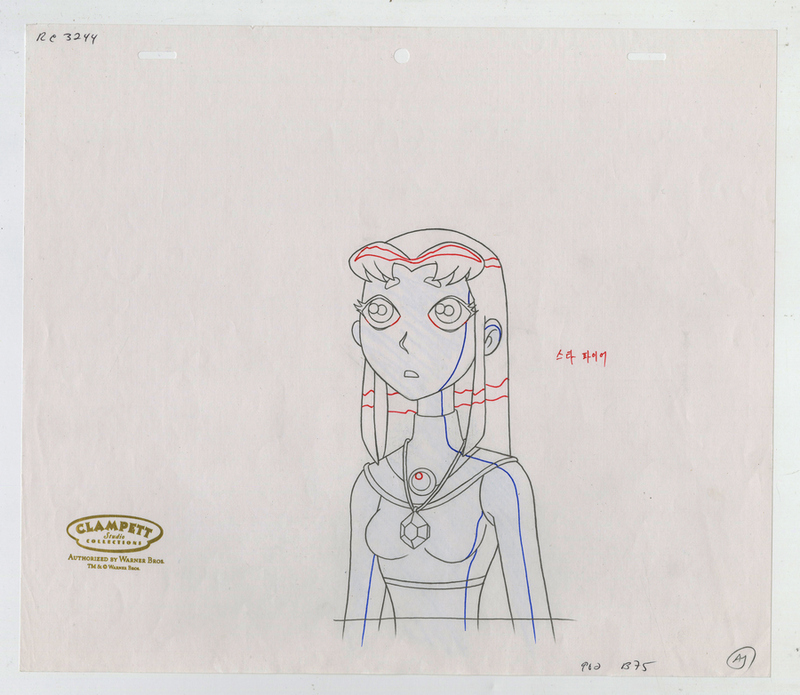 This is an original production drawing from the Warner Bros. production Teen Titans (2003-2006).This original drawing features a concerned Starfire wearing a special pendant. 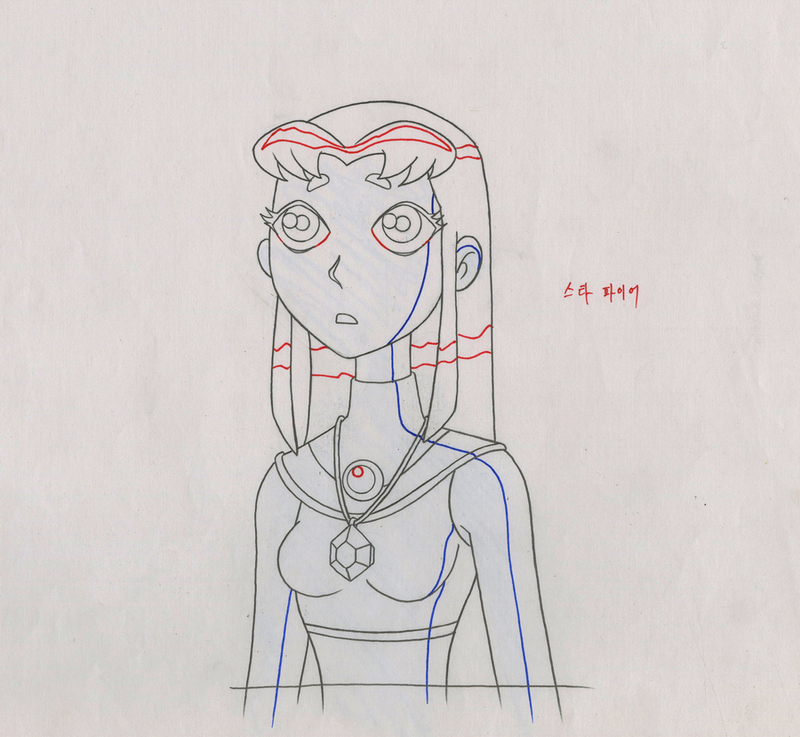 It was created at the studio and used during production, representing an actual frame of animation from the show. The overall measurements of the piece are 10.5" x 12.5" and the image itself measures 6.5" x 3". The drawing is in very good condition with some minor edge wear, and was prepared by the studio's art program.